Benson Sound is one of the most trusted and respected sound companies in the ever changing and complex sound business. For over thirty five years, people who know, have associated our name with excellence and great sound. 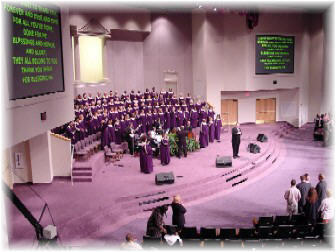 What started as a very successful recording studio, has, over the years, exploded into a multi faceted sound, lighting & video projection design-build installation business, as well as an excellent Catalog of hard-to-find gospel soundtracks (Encore Trax). So if you're looking for a company to install a sound, lights, or video system in your church, school, or civic center, need a great place to record your next project or you're just looking for a soundtrack you haven't been able to find anywhere else,... click one of the above icons and discover Benson Sound! copyright 1968-2012 Benson Sound Inc.